The Fayetteville City Council at the April 4 meeting tabled consideration of establishing two open container entertainment districts until the county provides input. The two districts include the downtown area and all of Pinewood Forest. City staff recommended, and the council agreed, to table the second reading of the alcohol amendment. After review and approval by the city attorney, the proposed alcohol ordinance and the district map were sent to the county attorney for review. At this time staff is waiting for a written agreement to be drafted which would allow open container on the county complex and the downtown courthouse property. If an agreement is not reached between the city and county, the county properties will be removed from the district map, city staff said. 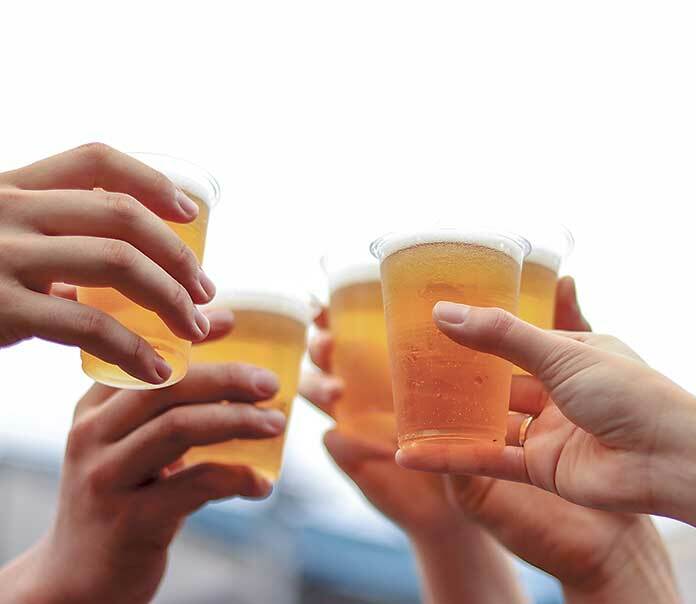 The amended alcohol ordinance that will allow outdoor alcohol consumption within the boundaries of the two entertainment districts requires that a cup be supplied by a restaurant or bar licensed to sell alcohol and that it limited to 16 ounces. 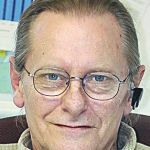 City staff in a Feb. 27 letter asked for a policy direction from mayor and council in order to create an Entertainment District in a portion of the Downtown Main Street District, and at the mixed-use Pinewood Forest development located along Veterans Parkway on the city’s on the west side. Noting that the council would need to establish the entertainment district boundaries, staff recommended a north /south boundary from Lafayette Avenue and North Glynn Street to Fisher Avenue and South Glynn Street, and an east/west boundary from Lee Street and Lanier Avenue East to Grady Avenue be reviewed for the Main Street area. 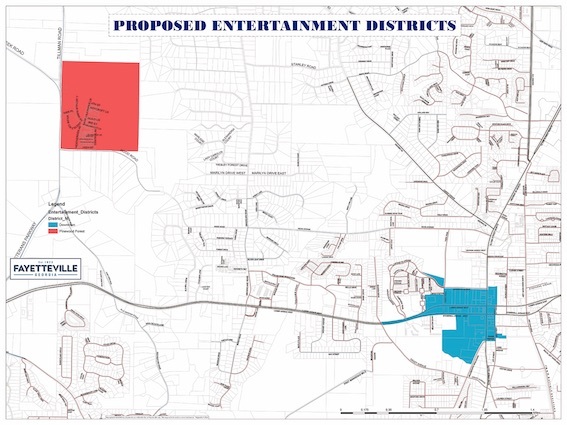 Pertaining to Pinewood Forest, the entire 234-acre development would be classified as an entertainment district. Map of proposed downtown entertainment district shown below. Graphic/City of Fayetteville.